We have all been working very hard in our Technology classes. One of our focuses have been the digital cameras. We have talked about the parts of the camera and its proper care. The children are working on focusing and quality photo composition. This is a project that our third graders are working on now. Play our game to find out how we are learning to see everyday objects from a new perspective. How many did you figure out? Tell us about one of your favorite pictures and what makes it so special. Skyping with Mr. Eldridge and Hawes Primary! We finally had a chance to meet our friends in England. The 3rd Grade Techie Kids were able to Skype with Mr. Eldridge and his students at Hawes Primary School. We loved their accents! They call their recess, break time. Each break time begins with an assembly. They like to sing songs, play football, and hula hoop. The children enjoy Mr. Gum books. We had not heard of that series before. They also enjoyed Captain Underpants books. Many of us like those books too! Charlie shared that he enjoys pizza with cheese, ham, and tomatoes. They also shared how they are learning to focus on healthy eating habits. Hawes Community Primary School has 75 students who are age 5 through 11 years compared to our 400! They call jump rope, skipping and soccer is called football. They wear red, blue, or green shirts to school each day. We do not have set colors or uniforms. We thought it was a fun idea because their teams were already set by color for school competitions. Our school was built 35 years ago. Hawes school was started in 1879. That’s 132 years ago! We hope we can chat with our friends again soon. Thank you for helping us learn more about our world! What was your favorite part about using Skype? Do you have any other questions to ask the Techie Kids? What should we try the next time we Skype with our friends? I know that our time together each week is quite limited. 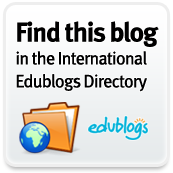 I would like to make sure that we have not forgotten about our blog buddies and how to write quality comments. SO, in an effort to encourage you to practice your digital skills at home, I am issuing a blogging challenge! 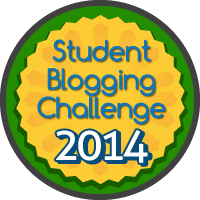 This month, students can earn 1 piece of candy per 2 quality comments left on our blog or on our Blog Buddies posts. Remember, a quality comment would include all of the items we have discussed in class. The top comment writer will receive a cool PRIZE! All other participants will have an opportunity to win a prize, as well, by having their name entered into a drawing. Please post a comment here to tell us what you are learning from our friends and where you learned it. The student who finds the most interesting or unique fact will also receive a PRIZE. We will vote on the most interesting comments at the end of the month. Don’t forget to ask questions and leave comments for other students. Another part of the challenge involves practicing your keyboarding skills at home. You have an extra chance to earn 1 piece of candy each week that you practice your keyboarding skills at home. Visit Dance Mat Typing or E-Learning for Kids, from home, at least 2 times for 20 minutes each during the week. Then, leave a quality comment on this post with your first name and an adult family member’s first name who can confirm that you met this challenge. Thanks to Miss Jordan and 2KJ for sharing this idea with us! You can read about their challenge here. What have you learned from our Blog Buddies? Can you tell me about a time that you participated in a contest?